With the Vantage, Aston Martin is trying to expand from its current pool of buyers and compete with Porsche and Ferrari, CEO Andy Palmer said. LONDON (Bloomberg) -- Aston Martin has already sold out almost all of its production capacity for the new Vantage for next year, just days after the British carmaker opened sales for the 154,000-euro supercar. Aston Martin began selling the hand-built car, equipped with a 4.0-liter V-8 engine, to private customers this week and 80 percent of the Vantage's first year's output has already been taken, CEO Andy Palmer said. The first deliveries are scheduled to arrive in the second quarter of 2018. "Most of our production for next year is already sold out," Palmer said Tuesday. With the Vantage, Aston Martin is trying to expand from its current pool of buyers and compete with Porsche and Ferrari, Palmer said. The Vantage's low-slung "predatory stance" was inspired by Aston Martin's Vulcan racecar, the company said. 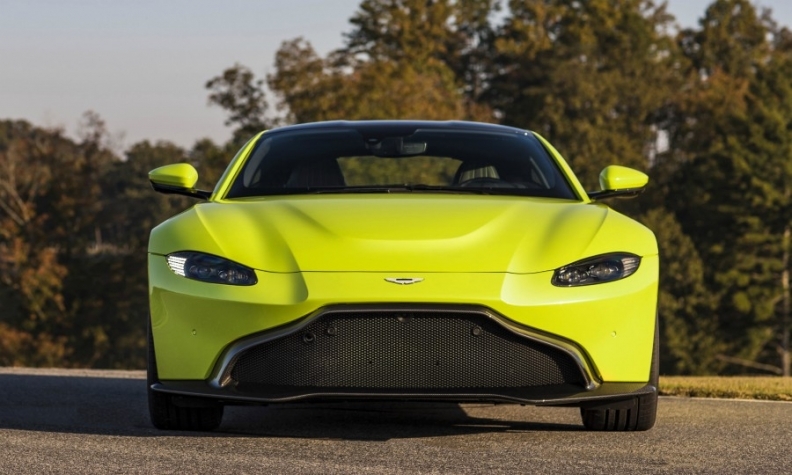 The Vantage is central to Aston Martin's efforts to establish a record of profitability as it prepares for a potential initial public offering. Palmer said in June that an IPO would be more difficult amid the uncertainty brought on by Brexit. The company's owners include Italian private equity company Investindustrial and a Kuwaiti investment consortium, while Mercedes-Benz parent Daimler owns a small stake.